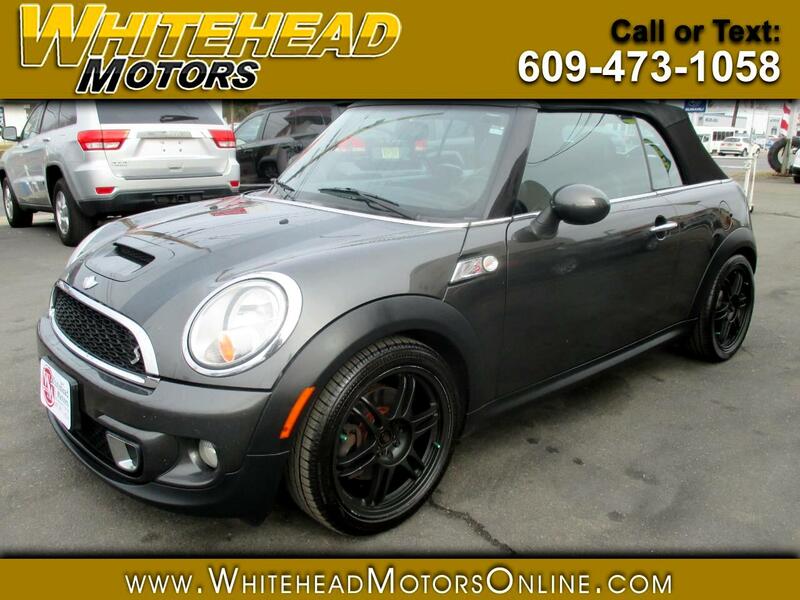 Fast, fun, and fuel-efficient, our 2011 MINI Cooper Convertible in Grey is as cute as a button! Powered by a 1.6 Liter 4 Cylinder providing 121hp paired with a very fun to drive 6 Speed Manual transmission for quick acceleration. Our Front Wheel Drive will get good fuel economy and is fun to drive. Our Cooper Convertible comes equipped with a start/stop button, power features, keyless entry, wheel-mounted audio controls, and of course, a convertible top! You'll enjoy the HD radio, auxiliary input jack, and CD player for playing your favorite songs while you cruise through town. You'll be kept out of harm's way with MINI's state of the art security equipment. ABS, advanced crumple zones, brake control, rollover protection bars, and a multitude of airbags are all on your team should you need them. Plenty of pep, style, and tons of fun this one won't stay on our lot long! Print this page and call us Now... We Know You Will Enjoy Your Test Drive Towards Ownership! Get Approved In Minutes at Whitehead Motors. We Make Car Buying Easy. Message: Thought you might be interested in this 2011 MINI Cooper Convertible.